Redemptorist Father William Heanue who, from his early assignments through his last, preached the novena of Our Lady of Perpetual Help, died Jan. 19 at St. John Neumann Residence in Saratoga Springs, NY. In ill health for some years now, Father Heanue was 86. The Funeral Mass was offered Monday, Jan. 23, at Our Lady of Perpetual Help (Mission Church) in Boston, his home town. Burial was at Calvary Cemetery in Boston. The son of Irish immigrants, William and Ann Conroy Heanue, he was born on Aug. 24, 1919, and was educated at Our Lady of Perpetual Help School, where his devotion to the Blessed Mother began. After one year at Mission High, he entered the Redemptorist formation program at St. Mary’s Seminary, North East, PA. He made his first profession of vows in 1942 and his final profession in 1945. He was ordained to the priesthood at Mount St. Alphonsus in Esopus, NY, on June 22, 1947. A classmate, Father Raymond McCarthy, recalled that his friend was "a serious fellow, a good athlete, very good in English, and a poet." Father Heanue went on to write articles for Liguorian and other religious magazines. 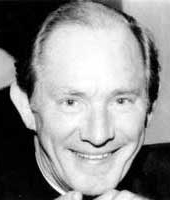 "Everyone loved his sermons because they were very deep, very spiritual," Father McCarthy added. "When he was visiting the sick, his sincerity and well-chosen words were a comfort." Father Heanue’s first assignment was as a teacher at North East. From 1950 to 1961, he served at Immaculate Conception Church in the Bronx. Father Frank Skelly, who grew up in the parish, remembered his elder confrere as "an incredible preacher with a down-to-earth style." Father Heanue preached the novenas there — eight times each Friday, one of them broadcast on radio. Father Frank Sullivan, who was homilist at the funeral and also grew up in the Bronx, spoke of a local Jewish businessman who closed his shop at three o’clock on Fridays and invited the workers to listen to the radio broadcast. Father Sullivan said that the businessman explained: "He’s the only priest I can understand; he talks to the people." Assigned to St. Gerard Church in Lima, OH, from 1961 to 1968, Father Heanue again was responsible for preaching the novena. The challenge of composing sermons that maintained interest and promoted enthusiasm for the weekly novena was a gift for which he thanked God, he later wrote. After a year at Notre Dame Retreat House in Canandaigua, NY, (1968-69), Father Heanue spent a short time at St. Boniface Church in Philadelphia and then was named to San Alfonso Retreat House in West End, NJ, further developing his gift for directing retreatants. He served there for 11 years, six of them as rector of the community. He did further retreat work at Holy Family Retreat House in Hampton, VA, (1981 and 1983-86) and helped with parish work in Waynesville, NC, for one year. Returning to the Baltimore Province, Father Heanue served at St. Clement Church in Saratoga Springs for two years and then went back to St. Gerard Church in Lima (1988-91). As a senior priest, Father Heanue was assigned to Our Lady of Perpetual Help Rectory in Manhattan in 1991. Father McCarthy, who is in residence there, said that "in the morning, you could find him in the garden working with flowers, and again for an hour in the afternoon." He continued to preach about Our Lady of Perpetual Help and directed the Legion of Mary. Despite repeated bouts of illness, he was always eager to get back to work, Father McCarthy said. "He was a very good priest, serious, dedicated. The people loved to talk with him," he added. In the 1990s, after suffering a stroke, Father Heanue moved to St. John Neumann Residence. Until he became bedridden about a year and a half ago, he continued to preach the novena next door at St. Clement Church. Father Arthur Gildea, former rector of St. John Neumann’s, said: "When it came to talking about Mary, Bill Heanue was always ready." His response to prolonged illness was "patient suffering" which edified the community, he said. Helen Ford, a parishioner at St. Clement Church, noted that Father Heanue’s preaching of the Wednesday night novena drew about 250 people. "Our Lady of Perpetual Help was his love and we were very fortunate to have him. He was well-loved, believe me," she said. Father Sullivan, who serves at St. Clement’s and welcomed Father Heanue’s contributions to the parish, said that in addition to his great love for Mary, "he had an extraordinary understanding of and love for the celebration of the Holy Eucharist." When he preached, Father Sullivan added, "I always had the impression he was talking to me, even if there was a big crowd." Even with Father Heanue’s great gift for using the language, Father Sullivan concluded, "the best homily he ever preached was the life he led."